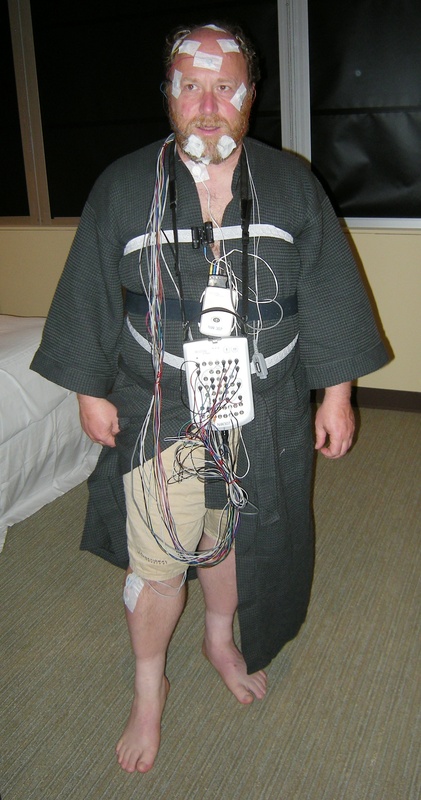 This is an image of a man who is wired up for a sleep study. EEG pads are placed in key spots so that every muscle twitch is recorded. Simply stated, the object is to find the cause of interrupted sleep. I have been to a sleep study because I have narcolepsy. Everyone who has a problem with sleep has been to a sleep study. I have been made aware of targeting for and by sleep study because I am a targeted Individual with narcolepsy. Make this video occupy the full screen so you can grasp the full impact of the devastation. To do this, just click on the small white box in the lower right hand corner. watch this drone footage of the Santa Rosa fires which is arson and not a Forrest fire. Notice how the trees are still standing, especially the pine trees which are very flammable. Yet the houses have undergone some apparently intense heat and disintegration and yet the trees are . How is it possible that there was such intense heat to destroy houses and cars so thoroughly and yet the trees are still untouched. Only the military would have been able to carry out such devastation with weapons of war. The military did enter the area on the ground to take over in a martial law type environment.